I know this blog’s been silent recently. 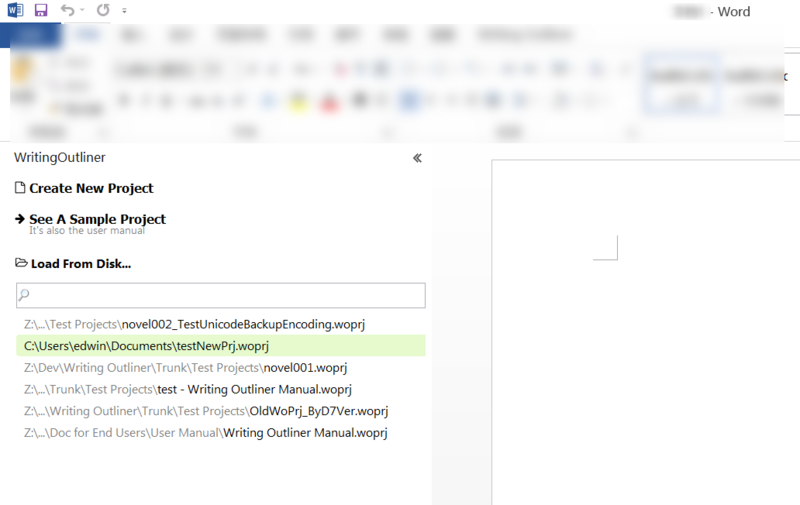 So here is the first news: The development version of WritingOutliner supports All recent Windows 8 and 10 now, but it’s not ready to be released. Below shows some work-in-progress enhancements to the WritingOutliner. It’s a pity what happened with this great add-in that improves my productivity incredibly. Now it doesn’t work for Word 2016. I have waited for years to know what happened to this project and now I get a blog post every six months saying nothing. A blog post with dead links telling “all your questions will be answered” (but they aren’t) or a post telling “a new version is coming” (and then months of silence). I know your heart is not in this project. Fair enough. But this does not entitle you to treat your customer that way and play with their hopes. (I remember the Word Outliner fiasco, too). Please, Edwin release the code as a source code project. I know you are not interested in this program but many people use it and many more could use it if it was not a dead project. It has its unique niche. @imnobody00, I’m sorry that I’ve failed you in the past, and thanks for care about WritingOutliner. this time a new version is really comming, please check http://writingoutliner.com/writing-software/blog/user-interface-enhancements-of-the-upcoming-new-version/ for details. I am having trouble getting this product working for MS Word 2016. After downloading and starting Word I get an error message when clicking “Get started with WordOutlliner”. The Send Report also generates an error too and does not send. I purchased Writing Outliner, downloaded the software, and installed it with no problems. I downloaded the “paid” copy and received the license key. No errors were encountered during the installation process. When I opened MS Word 2016 there was a tab at the top of the screen for Writing Outliner and that’s it. There is nothing in the pane at the left of the screen. Microsoft Word 2019 is just around the corner. Why can’t the developer keep up with the latest Word version? Would a better course of action be to sell this product to a company that can properly maintain it. If I don’t ket a response from Edwin in the next three days, Ithink its time for a refund. This product appears to be dead and the developer has abandoned its support. Still have not heard from Edwin why it won’t work with my MS Word 2016. In a matter of months Word 2019 will be released. Are we supposed to wait five years before Writing Outliner can work with it. Most software products that work with MS Office products have revisions/new releases within months of Microsoft’s release. What a downright shame. This product seems solid, but I simply can not work with out of date/obsolete tools. @Bob, I’ve just replied your email. Sorry for the delay.